Torquato Tasso, who is regarded as the greatest Italian poet of the Renaissance, died in Rome on 25 April, 1595 -- 415 years ago. He is immortalised in Bergamo by a large statue (right) that stands in front of the Palazzo della Ragione in the Piazza Vecchia in the Città Alta. Tasso was the son of a Bergamo nobleman, also a poet, but he travelled about constantly during his 51 years of life. 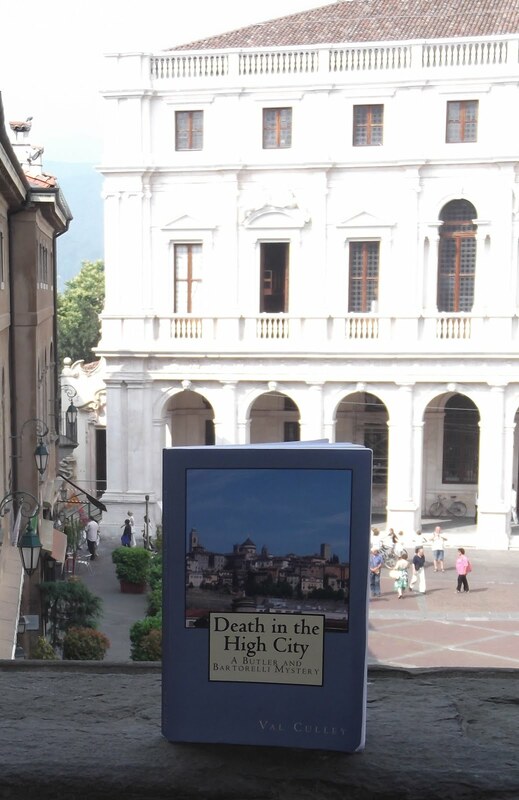 He spent two periods only in his father’s native city, but is known to have written about Bergamo with affection. Tasso’s most famous work is his epic poem Gerusalemme Liberata (Jerusalem Delivered). Nearly 100 years after Tasso’s death, a statue of him was erected in a corner of the Piazza Vecchia and the bar next to it subsequently changed its name to Caffè Tasso. Dating back to at least 1476, the bar would have been known during Tasso’s life as the Locanda delle Due Spade (the Two Swords Inn). In 1681 when the statue of the poet was erected the bar’s name was changed to Al Torquato Tasso Caffè e Bottiglieria (Torquato Tasso Café and Wine Shop). Since then, the celebrated poet who spent most of his life wandering from one noble court to another has had a permanent home in Bergamo.